Happy Memorial Day, everyone! I hope you are all reading and relaxing. 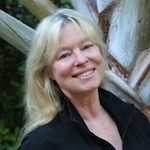 Today as my guest, I’m happy to have my friend Edith Maxwell, who tells us about the Maine connections in her latest Local Foods Mystery. I’m delighted to be a guest here again today. Thanks for inviting me north, Barb. Mulch Ado About Murder, my fifth Local Foods Mystery, comes out tomorrow. And I’ll give away my last ARC of the book to one commenter here today. This is the fifth book in the series and it has at least one connection to Maine and another to today, Memorial Day. Originally I wanted to have my organic farmer head up to the Common Ground Fair for a book. The fair isn’t until September, though, and that would be too long in book time since book four, Murder Most Fowl, which took place in March. Maybe we’ll have a Maine setting for book six! Throughout the series, Cam has been referring to her peripatetic academic parents, to whom she isn’t particularly close, but we’ve never met them – until this book. Right away Cam’s mother Deb gets involved in a public protest against a new hydroponic farmer, and she was seen going into the farmer’s greenhouse. So when Nicole turns up dead, you know the police want to talk to Deb. “Oh, yes,” William said, looking relieved at the change in topic. “We popped into a couple of Maine beaches on our way north. Old Orchard was very charming, wasn’t it, dear?” He patted Deb’s hand. “Very.” Deb ate her last bite of omelet and sat back in her chair. You can squeeze a lot of two states into a day when you start at the New Hampshire border! Of course, today is Memorial Day. This series is set in a town modeled on West Newbury, in the northeast corner of Massachusetts, where I had my own small certified organic farm a couple of decades ago. One of the annual spectacles is the Memorial Day parade, with all the quirks and color only a small town can present. I knew I wanted to include it in a book. Cam, her parents, her great-uncle Albert, and his girlfriend, Marilyn (who is modeled directly on my mother, also named Marilyn) all head to Main Street with folding chairs and good cheer. I had fun giving parade cameos to the core members of a long-standing Flick Chicks group I’m part of. We all started out as West Newbury moms more than twenty years ago. When you read the parade scene, look for the woman on the horse, one in the volleyball group, a Civil War reenactor, and a Girl Scout leader, and you see Deb Hamilton, Kim Wegryzyn, Judy Smith, and Janice Valverde, respectively. Naturally (hey, it’s a murder mystery), at the end of the parade Deb gets involved with two of the people of interest in the murder – and another body drops. I love writing this series and immersing myself back in the farming life without having to do all the hard work. Lots of readers have written me saying how much they learned about small-scale farming. I hope you like it, too. Oh, and please join me in a fifth book birthday celebration for all five books on Facebook on June 1 from 6:30-9:30 pm! 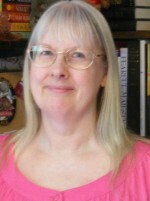 There will be prizes, and Barb will be one of the cozy authors visiting. More details here. Readers: What’s your favorite quirky Memorial Day parade? How about the small farm where you like to buy produce? I’ll give away my last ARC of the book to one commenter. 2017 double Agatha-nominated and national best-selling author Edith Maxwell writes the Local Foods Mysteries and the Quaker Midwife Mysteries; as Maddie Day she writes the Country Store Mysteries and the Cozy Capers Book Group Mysteries. 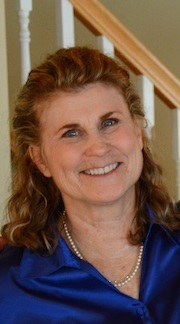 Her award-winning short crime fiction has appeared in many juried anthologies and journals, and she serves as President of Sisters in Crime New England. This entry was posted in Guest Blog and tagged Edith M. Maxwell, Local Foods Mysteries, Mulch Ado About Murder. Bookmark the permalink. Love your post! Want to get this book if I don’t win. I love all parades. I remember going to the local parades in Ashland, va as a child. It was always filled with the marching band and veterans to represent those who had served if not given their lives. They would have signs representing the different branch and who had died services ng their country. Whoops #5 – I must play catch up with this series. Local parades with local Boy and Girl Scouts, Firemen in Fire trucks, veterans in cars and on foot and Police in Police cars, etc. You can’t get any better than local small town parades – oops nearly forgot the high school band! The local farm where I buy all of my seasonal vegetables is Four Corners Farm in Newbury–Vermont!! Can’t wait to read this latest mystery!! Slurry and rosary beads. Perfect!! Thanks, Karen. I learned about the murder method from the fabulous Poison Lady, Luci Zahray. A reflective Memorial Day to all. A Rhode Island resident, my husband and I frequently vacation in Maine throughout the year. A true New Englander from head to toe, there is no other place we would rather be. Maine Crime Writers blogs are my daily inspiration; I have them archived so that I can reread them on a regular basis. Your daily blogs are inspirational, educational and entertaining and I look forward to them with my first cup of coffee at 5 am every morning. I am currently engaged in writing my own cozy mystery which takes place in Rhode Island at the seashore but that’s another story. I absolutely love Memorial Day and the honors the events bestow on all our brave men and women who have given so much of themselves and continue to do so that we may all be safe in this wonderful country. My flood gates open up each time I watch our precious veterans and present military personnel march down Main Street, some in wheelchairs, others with walkers, and those on crutches, heads held high and tears in their eyes while marching proudly to the sound of patriotic tunes that pull on our heart muscles, performed out of tune by our local high school band. There is no other time of the year in which I feel so grateful or emotional. I hope that in the near future I may be able to attend some of the events you host in Maine to meet some of my favorite authors in person. Until then I will continue to read your wonderful blogs every day. Yes, Suzanne, those parades can be very emotional. The parade in Pepperell is a favorite. I walked it many times when my boys were younger and in Cub Scouts and Little League. Then I walked it when one son played the trumpet with his middle school and high school bands. Now I just get to watch. I love just about any parade but Memorial Day parades are special. Due to the arrival of untimely showers in our area, this year’s parades have been cancelled. I’m disappointed for the veterans who would have walked or ridden and deserve the accolades of the cheering crowds lining the streets. Wishing there was a rain date…. My town’s parade was cancelled today, too, Penny. I love this series & can’t wait to read this new one. I have watched many parades in many places thru the years. All of them were fun & enjoyable. Thanks so much, Doward. You are a stalwart fan! Hartland may be small, but still has a Memorial Day parade. We just watched it since we live diagonally across the street from one of the cemeteries. Dreary day, but a decent crowd and the Baptist youth group was passing out mini-bibles. In addition to veterans, National Guard and JROTC marchers, we had the Nokomis and SVMS marching bands, plus fire trucks from both Hartland and St. Albans. Every year, I remember my high school band experience on this day. We did three parades each year-Union, Waldoboro and Damariscotta. That must have required some careful scheduling! Love all my Maine cozy mysteries! Wishing I were in Maine now cozied up with the man I love and a good cozy mystery! Parades are an excellent observance of our holidays. The combination of the high school marching bands, area service units and of course the Veteran’s unit that kick of the parade by carrying our flag with pride, these are all what I enjoy. Oh yes I can’t forget the Boy Scouts and Girl Scouts who are learning what Memorial Day is really all about. Picnics are fun but I tend to focus on those who are no longer with us. would love to try this book Maine is a favorite place for us to go to on vacation. It’s a lovely place to relax, for sure. I have never been o n the East coast yet have always wanted to go! I “visit” through the books I read. While living in CA h there were quite a few farms we loved to go to. Phillips Farms along the Delta was great. Arizona, not nearly as many. More we’re in Northern Utah and just learning where to go. I’m excited to have found this series and can’t wait to get started. Thank you! Hope you find some good farms where you are now! One of my most treasured Memorial Day parades was when I was in high school, and our band marched in the parade in Gettysburg, PA. The end of the parade was at the National Cemetery there, the final resting place for so many, both Union and Confederate, after the Battle of Gettysburg. A somber and solemn place, the closing ceremonies included a reading of President Lincoln’s Gettysburg Address. Now I am in close proximity to Arlington Cemetery, and in my daily life, I walk along the corridor in the Pentagon dedicated to the Prisoners of War. Both catch my heart with the recognition of the sacrifice of those who gave their last full measure for us. The only time I went to Gettysburg it was Memorial Day and we happened upon the parade. My boys were young and LOVED it. I absolutely love this series and can’t wait to read this one. It is one of my favorite series as Cam as unique in the cozy mystery genre. My husband and I used to love fly into Manchester, NH and drive up the Maine coast. Good memories and our goal is to try to do this again one day if both our health issues are resolved. Congratulations on the new release! Thanks for loving the series, Phyllis. I wish you and your husband the best of health! I love a parade that honors the fallen fighters for our freedom. We go to several farmers markets,enjoy the one with honey and cheese makers. You can’t beat local honey, Candy. Or cheese! I doln’t think we have any local parades for Memorial Day. Wish there were some. They are pretty amazing, Sue. 2 summers ago my husband and I were camping in the Finger Lake region of NY. To get back to the campground there was this farm stand by the side of the road. I asked by husband to stop and it was a Mennonite farm. Beside have wonderful fresh veggies, they had the best baked goods. My husband fell in love with the Snickerdoodles. I wish I could find a place like that here in FL. We bought our shed from the Mennonites. Sounds like a lovely vacation area, Paula! Paula, you are the randomly selected winner of the ARC! Please send your snail mail address to me at edith at edithmaxwell dot com. Congratulations! .I did get to the cemetery yesterday to leave flowers and today I did yard work. Just a quiet weekend no parades or cookouts. That usually happens on the 4th. Every town (and family) is different. Thank goodness! I go to the Farmer’s Market that our town has once a week. Living in Chicago, there aren’t many farm stands unless you drive out to the country. When I’m in Holland MI, they have a huge Farmer’s Market and it’s a short drive into the country to the farm stands and the strawberry fields. It’s so nice to get strawberries right from the field. Ooh, fresh strawberries are the best! My family has veterans who served in the front lines from WWII, Korea, Vietnam, and most of the later conflicts. All the males in our families have seen active duty, but you won’t hear them talk about it. It was just something they had to do. My sisters and I all ended up marrying veterans, although we hadn’t planned to do so. We were rabid anti-war protesters during Vietnam. We live in a rural area but the local towns have parades. Hayesville and Jeromesville are only about five miles apart. That is the average distance between all the towns here. It was an easy distance to walk to and from in a day. Because they are so small the parade is shared between them. The parade begins in Hayesville. The floats and walking groups and the marching band begin at the central park and make their way down Main Street to the cemetery. Speeches are made and taps are played by the band. Then everyone loads up into trucks and cars and races the few miles to Jeromesville where the whole thing is repeated. They are somber occasions as they were meant to be, since we are remembering those who died. Not those who lived. This area is ripe with fresh produce and farmers’ markets. You can get just about anything in season here. And the fresh baked goods…Holy cow! It isn’t necessary to do it yourself. You’ll find whatever you’re looking for close by. We have a co-op named Local Roots. In order to sell there you have to grow or produce your products withing a 20-50 mile radius. It has a great inventory even in the winter. Even our regular grocery stores buy fresh produce in season from our produce auctions. This stuff is so fresh it was in the fields or orchards or greenhouses only hours before. And most of it is organic. We also have three local dairies that bottle their own milk at the farm. The one we prefer doesn’t homogenize so cream comes to the top. They use glass bottles which are returned and reused. I remember participating in my hometown Fourth of July Pet Parade MANY years ago. My older brother, younger sisters, and I festooned a full-sized baby buggy with red, white and blue streamers and showed off our two kitties, Peanut and Pixie. Where you live sounds delightful, Julianne. Especially co-op! I have been to Toddy Pond Farm in Monroe, where they have the most delicious milk and yogurt in glass containers.